Where were you born and raised? Am an Arizona native! Born and raised in Central Phoenix. I lived in Glendale for 7years, then moved to Gilbert for 10 years before moving to Queen Creek 14 years ago. 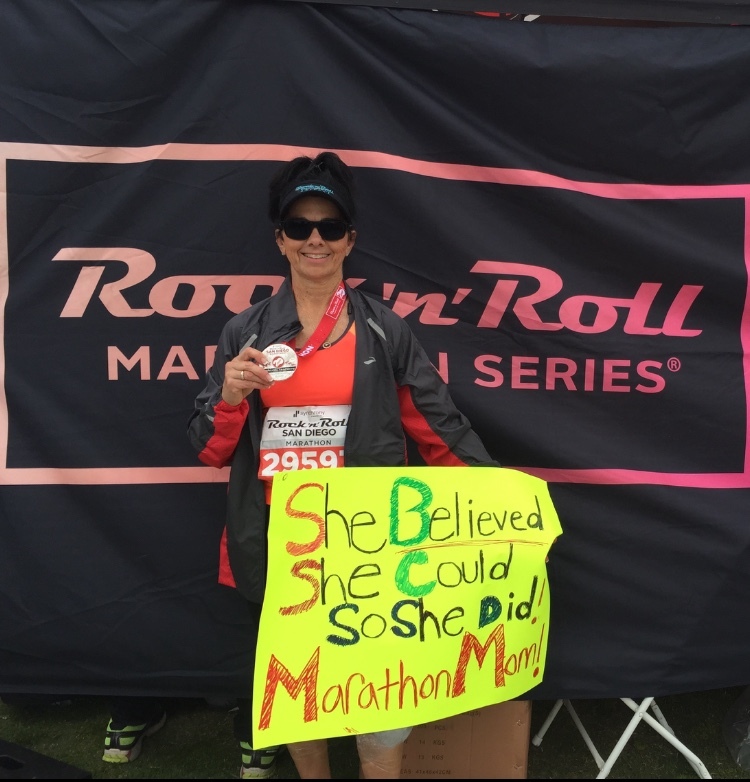 Favorite race: Both the Lost Dutchman’s and Rock N Roll San Diego Marathons have to be my highlighted favorite races thrilled to cross the finish line as a 26.2 mom twice in 2017. Favorite Track N Trail event: Since I have only been with the group 5 months eating pizza and beer together is always fun, but to run Mt. Lemmon Revel Race together and achieving a PR was incredibly awesome to be surrounded by an amazing support system of new running friends! 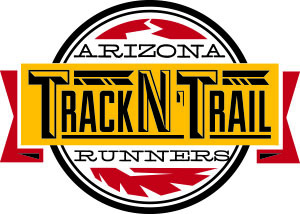 Favorite place to run: My go to “happy place” to train and run is practically in my backyard…Queen Creek Wash and Trail. Running alongside white tail bunnies, jackrabbits and roadrunners is pretty cool. Favorite Quote: “If your mind believes it will happen, your body will find a way to make it happen! So very true! Believing in myself has been my affirmation and continues to be my motivational reminder to what I have physically accomplished thus far on my journey of fitness and continue to strive as I set new running goals. Favorite Song to listen to while running: I always start my music running playlist with my go to motivational motto song “Don’t Stop Believin” by Journey. It certainly has been quite the “journey of life” the last 3 years for me. If you could run anywhere in the world where would it be? Would LOVE to run the Rock N Roll in Dublin, Ireland since I have a bit of the luck of the Irish in me! Other Hobbies: Gardening, Baking, Crafts, Scrapbooking and being #1 sports fanatic mom to my kids and of course to all our AZ sports teams too!